I suggest Crunchyroll for watching good quality anime. Hmm, maybe I'll give the manga a try then. I'll do it for Silver. Okay. So, Crunchyroll, correct? Any other good anime shows you recommend? I like great anime. Yes. Do it for Silver. FOR SILVER! Tonight I will be reviewing episode 38 of the long anime Space Brothers. WARNING!! This review contains spoilers about Space Brothers. In this anime, a man named Nanba Mutta is trying to become an astronaut throughout the series. There was an arc devoted to him and other astronauts doing a simulation and living inside a capsule pretending they are astronauts. In this episode we receive great news that he has passed the final exam to be an astronaut. Hooray! It has been a long ride but finally he has achieved his goal. What will he do now? Mutta meets all of the other astronauts who passed at a press conference. It's very emotional. The episode is a bit slow as usual, but I don't mind. The next episode is about him starting more training. I would probably recommend Space Brothers, it is nice and easy to watch but very slow at times. I like the earlier episodes better. Tomorrow's entry won't be about anime, but about a big event in my life. I'm moving! 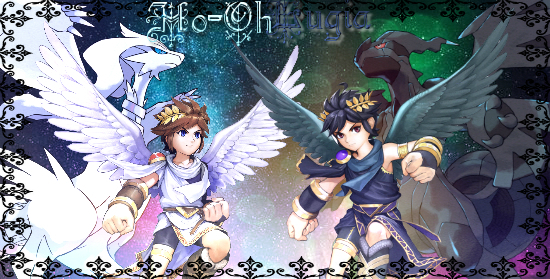 (08-24-2014, 01:03 AM)✯Ho-OhLugia✯ Wrote: Okay. So, Crunchyroll, correct? Any other good anime shows you recommend? I like great anime. You should watch Haikyuu, Gintama or Lucky Star. Today I'll be talking about a big event in my life. I have moved from San Diego to Seattle to live in an apartment with my boyfriend of three years. It's a very big change, and extremely emotional. I have two interviews this week, I'm desperately trying to find a job to pay rent. Also, I may be attending a program to get a certificate in French translation. Things are going to get busy, but I'll try to find time to relax and blog every day/night. Tonight, me and Colin are getting sushi to celebrate my first night in Seattle. Tomorrow, me and my parents will go shopping for some necessities and I'll do some more job hunting. Well, that's the update on my real life! Tomorrow I'll be reviewing Aikatsu episode 20! Hello! Today I'll be reviewing episode 21 of Aikatsu. I was going to review episode 20 but my chrome crashed so I lost all the pictures I saved... Oh well, lol. Aikatsu is about four girls at an academy for girls to become idols. It's super cute and colorful! It's a slice of life/shoujo show with some magical girl elements (in the sequences where they transform into their idol outfits). The idols transform by collecting cards (there are thousands of them). In this episode, Ichigo, Ran and their friends Otome and Yurika are offered an audition for a new movie. The audition is actually a simulation of the movie, with the girls trying to retrieve another idol's cards from within a castle. The girls set off a lot of traps by accident, causing Ran and Yurika (pictured below) to argue a lot. It's very exciting! After they retrieve the card and escape the castle, they encounter the Naughty Detectives, who are the stars of a famous TV show. The girls ultimately escape, and complete the scenario. The winners? In the end it was... Ichigo and Otome! (Not what I was expecting, actually...) I wonder if we will see coverage of the movie in the next episode. Tomorrow's episode will also be Aikatsu! These days, I've lost interest in anime and I'm too busy to make blog posts about it so I'll probably keep this blog to more or less my daily life or random things I'm interested in. It's been a pretty stressful week. At work, I was told my performance wasn't good enough and it hurt really bad. I got a job at a Halloween store, and I expected my work would be to work the cash register and greet customers. But, the first couple of days I had to stock the store and do merchandising. I didn't sign up for this, and I wasn't very good at it. Because of this my boss "punished me" and won't give me hours until next week. I'm quite stressed because I need money for rent. Now I'm looking for another job and maybe some babysitting or pet sitting on the side. Sigh. But, I will remain positive! I treated myself to some cotton candy and tomorrow I will take it easy, apply to some jobs and maybe take a lavender bath. One day at a time, you know? I wish I could rename threads because this is more of a daily life than an anime blog now. So today was my first night of my translation certificate program. The first class is mainly just learning about what translators do and what the industry is like. The teacher is nice and there are students of all ages. Hopefully it doesn't get too tough. There's not that much homework either. However... I do plan to study a lot. But for now, time to catch up on my anime! Aha. May I ask what a lavender bath is? Is it a bath with lavender petals? Well, I hope everything goes well! Remember, we have to fail to succeed (not necessarily) like me! Have you watched Pokemon Origins? I recommend it. It's like bath salts that smell like lavender. Trust me, I'm not going to fail! It cost 400 dollars just to take one class so I definitely can't fail! I watched the first episode, never got around to the other ones. Ah, okay. Oh, now the smell of lavender is infiltrating my nose! Did you like the first episode? The second one is a bit sad, it made me cry... ALOT! Probably because I'm really sensitive.